A groundbreaking research effort produces universal symbols for health-care settings—and underscores the value of evidence-based design. 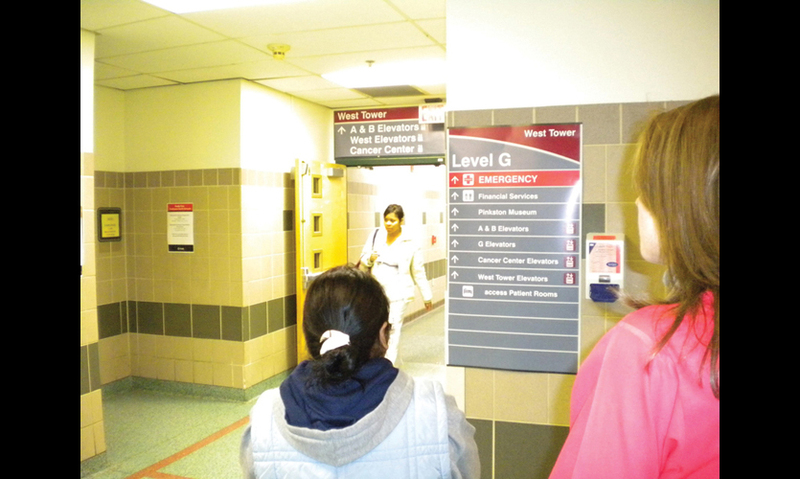 Patients, family members, and other visitors entering the doors of a hospital or other health-care facility face a daunting environment. Between them and their final destination, they will encounter a series of obstacles: multiple elevator banks, long and often identical-looking corridors, complex routes to distant departments or buildings, and often, ineffective wayfinding signage. If they speak little or no English or can’t read, the stress is magnified dramatically. Today, providing services to LEP or low-reading populations is one of the most challenging issues facing health-care administrators. This communication problem will continue to grow along with immigrant and migrant populations in the United States. A 2008 Pew Research Center report projected that by 2050, 19% of the U.S. population will be immigrants, compared with 12% in 2005. 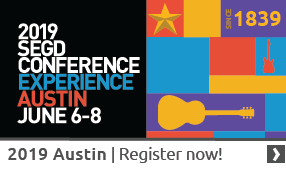 “Making signage easy to understand and eliminating language barriers is one simple way we can improve the health-care experience for everyone,” says Yolanda Partida, director of Hablamos Juntos, an organization established in 2001 to develop practical tools to overcome language barriers to health care. Hablamos Juntos and SEGD have been working together since 2003 to develop universal symbols for use in health-care settings. In October, the second phase of this multi-faceted research effort culminated in the introduction of an expanded set of 54 symbols and a guidebook designed to help health-care facilities implement the symbols effectively. 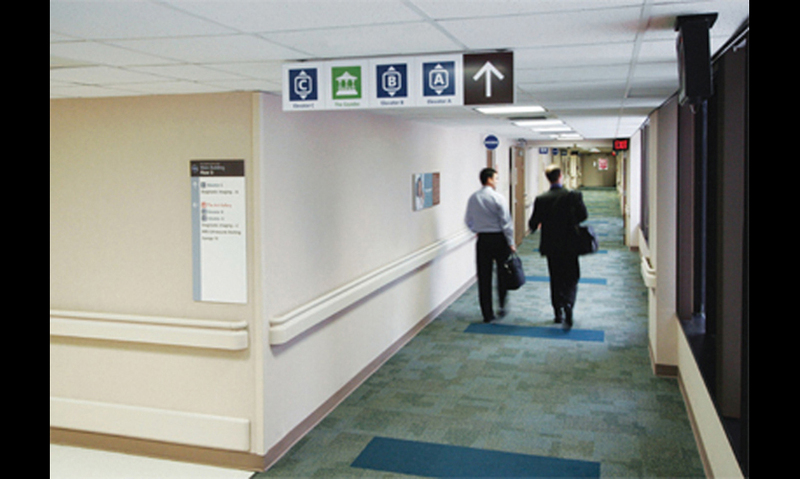 Partida’s idea to develop symbols for health-care facilities was inspired by environmental graphic design. During two visits she made to Mexico City in the 1970s and again in 2000, she noticed how Lance Wyman’s cultural icons for the Mexico City Metro had prevailed for more than 30 years, growing with the subway system. 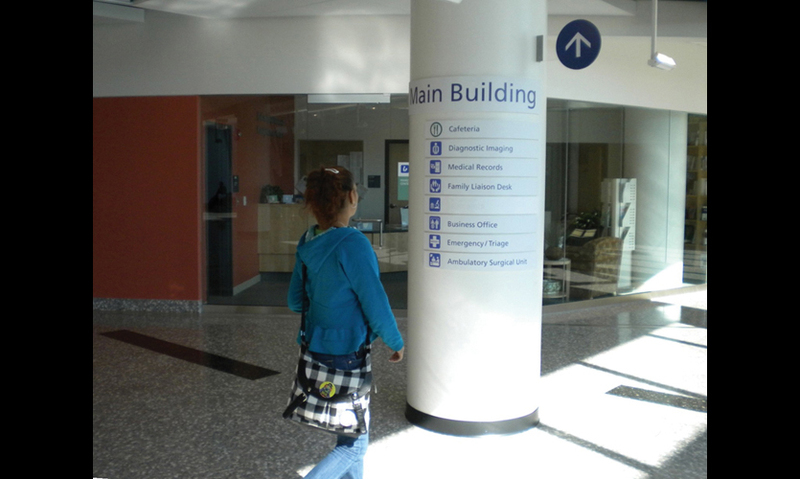 Juntos commissioned JRC Design (Phoenix) to prepare a white paper on the feasibility of using symbols for healthcare wayfinding. 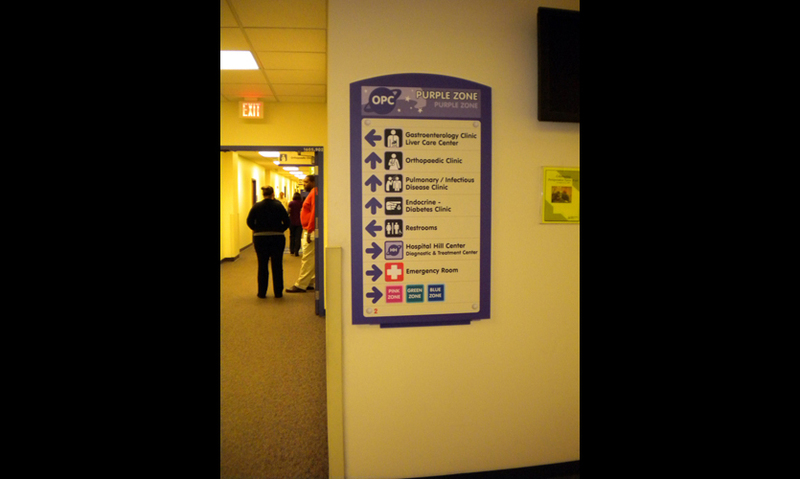 JRC’s analysis concluded not only that symbols were a viable option, but that a set of tested symbols, publicly available, would give designers and healthcare facilities a much-needed alternative to typical word signage. Hablamos Juntos and SEGD formed an ongoing partnership to develop and test the use of universal symbols in healthcare facility signage. 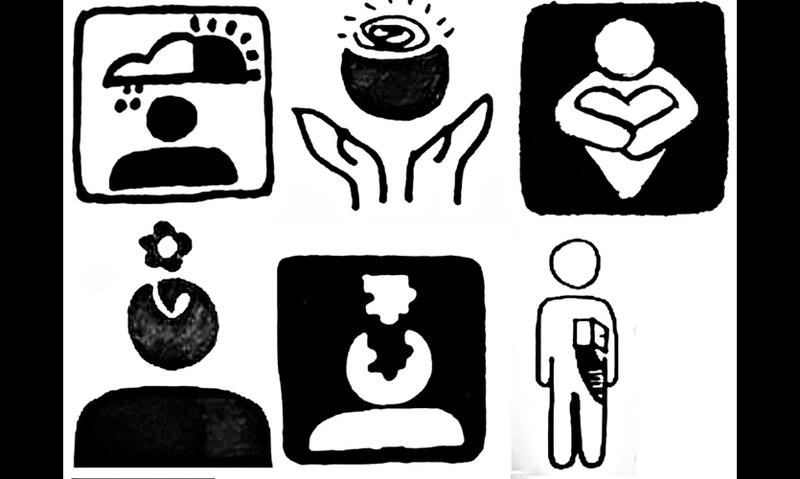 Phase I of the Universal Symbols in Health Care research, completed in 2006, resulted in a set of 28 Universal Symbols in Health Care. Health-care facilities that adopted the initial symbol set helped identify the challenges and issues of implementing symbols in health-care settings—such as how to add and integrate new symbols into existing symbol sets in use, how to most effectively name destinations, how to develop symbols that can support multiple destinations, and how to develop symbols that can serve a diversity of functions, including emphasizing health or illness. These questions became the focus for a second phase of research, begun in 2008. With continued funding from the Robert Wood Johnson Foundation’s Pioneer Portfolio, in addition to support from the SEGD Education Foundation, Phase II research was designed to develop a symbols set that could be widely adopted by health-care facilities serving LEP or limited-reading populations. The project’s goals were to add 20 to 30 new symbols to the Universal Symbols in Health Care set and support implementation of the expanded symbols set in four Innovator Health Care Facilities that signed on as partners to the project. 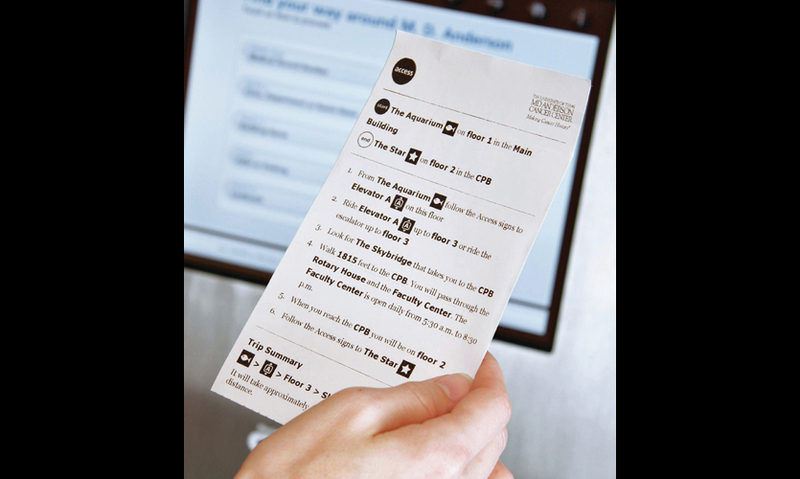 Just as important, Phase II was designed to document best practices and promote awareness of symbols-based wayfinding as a solution for multilingual environments. Four Innovator Health Care Facilities served as test cases for symbol design and implementation: Women & Infants Hospital (Providence, R.I.), International Community Health Service (Seattle), Children’s Mercy Hospital (Kansas City, Mo. ), and Grady Memorial Hospital (Atlanta). They fully underwrote the costs of participation and implementation of the systems in their facilities. 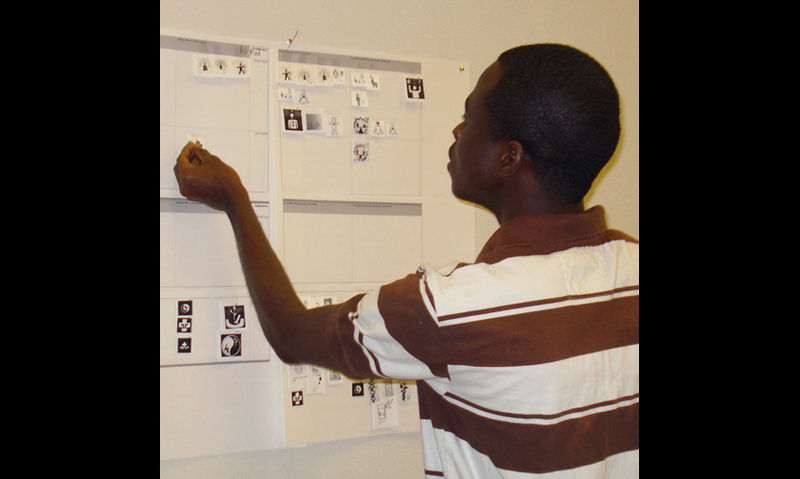 In 2008, a first-of-its-kind university consortium was formed to develop a process for adding new symbols to the USHC set, essentially providing a sustainable framework for ongoing symbol design and evaluation. 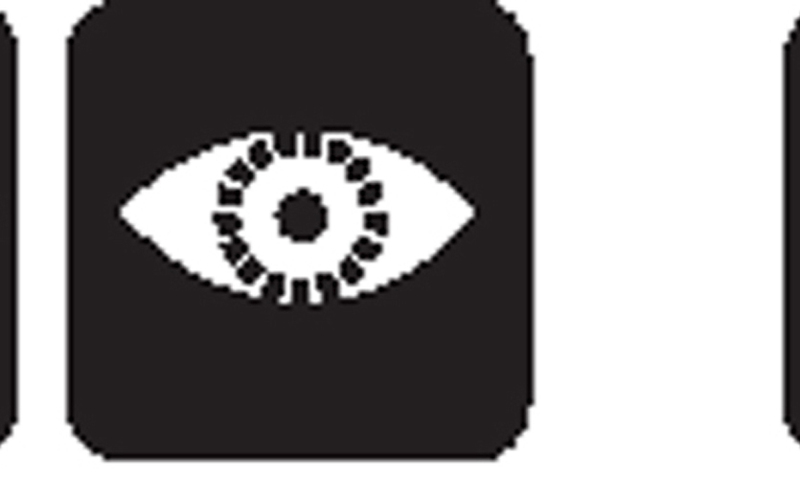 Research and initial design took place in 2009 and 2010 at four universities with design schools: University of Cincinnati, Iowa State University, Kent State University, and California Polytechnic State University. Hablamos Juntos, SEGD, and the schools met in bi-weekly phone conferences to establish project goals, discuss logistics, divide responsibilities, and share pedagogy. 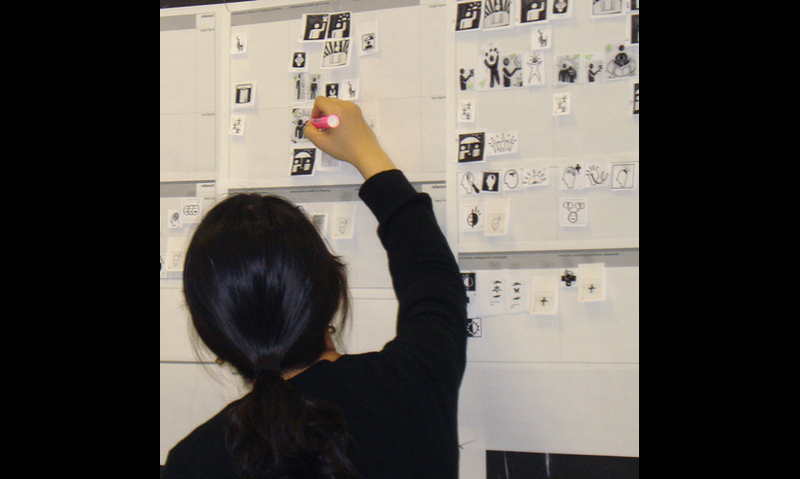 Faculty at the four schools worked together to develop curriculum to support the research, including pre-research work focused on symbology, precedent studies, and pictogram design. 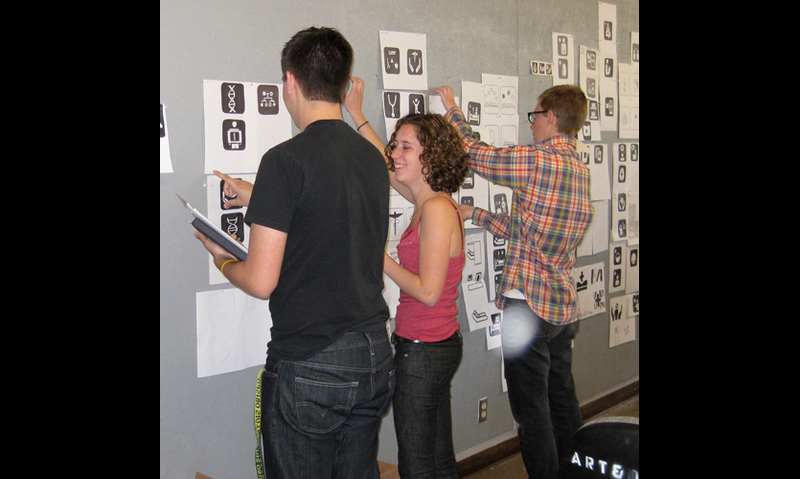 As the university teams began immersing themselves in the basics of symbol design and cross-cultural communication, students discovered the core challenge of symbol design, says Lisa Fontaine, associate professor of design at Iowa State University and the consortium’s research lead. The visual foundation for the symbols had already been set during Phase I. Because of public familiarity with existing U.S. Department of Transportation symbols, the Phase I symbols were based on them stylistically, “and we knew we were continuing that path,” Fontaine adds. The core design work was creating symbols for 19 additional referents that Hablamos Juntos had identified. Symbols for 22 new referents were ultimately created. The teams began with an in-depth review of destination hierarchies at the four Innovator sites, including building identity, building wings or units, primary destinations (departments and key functions), support destinations (restrooms, administration, cafeteria, etc. ), and room numbers. They assessed and analyzed the existing USHC set according to various parameters such as point of view, pictographic style, use of symbolic elements, representational types, human-form treatments, and the grid structure and ratio of black to white. Another challenge was widely divergent hospital cultures and referent nomenclature. For example, one hospital might have a kidney center that includes dialysis, while others do not. 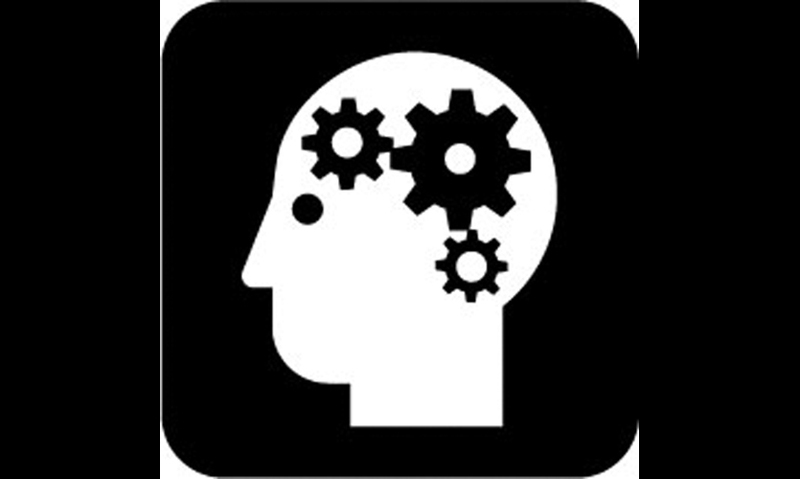 And how do you create a symbol for abstract concepts such as mental health? Students initially took metaphorical approaches (a person with lines radiating from their head indicating happiness, a person standing under a “protective” umbrella, etc. ), “But through testing, we found that metaphorical approaches don’t work well because of cultural differences,” Fontaine explains. The teams generated 155 candidate symbols for 22 referents. These were narrowed to five candidate symbols per referent category by a Delphi panel consisting of 24 expert reviewers (12 designers and 12 non-designers) who had been involved in aspects of either Phases I or II. Delphi panelists used a web link to access an online survey. The narrowed list of candidate symbols underwent comprehensibility testing by a linguistically diverse group of users at three sites, conforming to Institutional Review Board (IRB) procedures at each. For consistency, the same International Standards Organization (ISO) 9186-2:2007 testing methodology used for Phase I was employed in Phase II, with slight visual modifications to make the testing faster and easier. As a result of the comprehensibility testing, 22 symbols were chosen as additions to the original USHC set. set of symbols. Working closely with the academic research teams, Hablamos Juntos, and SEGD, Hora presented refinements, enhancements, and alternate symbol elements to the team before consolidating the consensus decisions in the final symbol artwork. Hora also revisited the 28 Phase I symbols and, using the new symbols as a guide, refined the older set for consistency in overall design, including subject-to-field size considerations, line weights, and element styling. In this way, the two sets were fully integrated into a new set of ets of is a comprehensive, 54-symbol set that adheres to internationally recognized symbol design standards. The Phase II research also focused on using the symbols effectively in the Innovator Health Care Facilities and documenting the lessons they learned in the process. A series of technical reports were developed to document the analyses, along with an implementation guidebook that outlines the steps in developing an effective symbols-based wayfinding system. Corbin Design (Traverse City, Mich.) conducted experience analyses that served as the basis for wayfinding system development at the Innovator sites. Corbin also provided technical input during design and implementation. facilities. 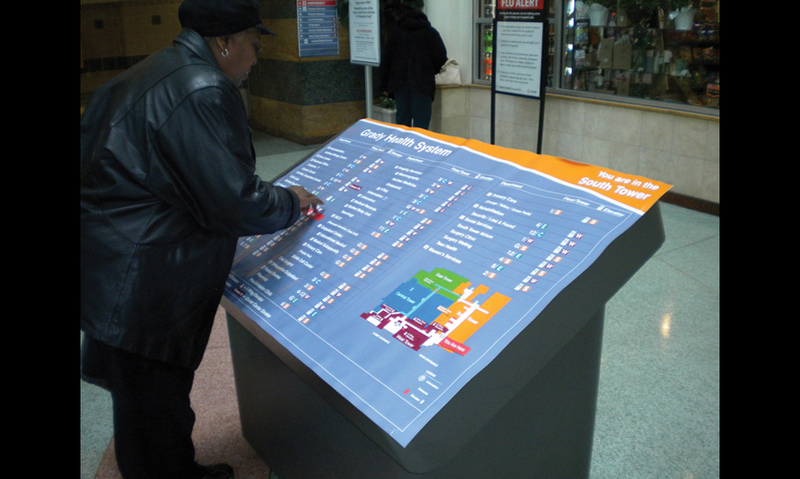 Post-design analyses tested visitors’ experiences using a prototype version of the final wayfinding program. Recommendations from these results were incorporated into the final design processes for each of the Innovator facilities. Pennsylvania Transportation Institute analyzed the recommendations based on several criteria: the size of a comprehensible symbol set; permissible terminology approaches for destination names linked to the symbols; recommendations for symbol size and position on wayfinding and identification signs; recommendations for the use of multiple languages in coordination with symbol signs; and use of directories, print, web, and educational support for symbols. The analyses were incorporated into specific recommendations the facilities used to develop their final sign designs.